Habitat: Desert. These trees are very common and widespread in desert areas here. 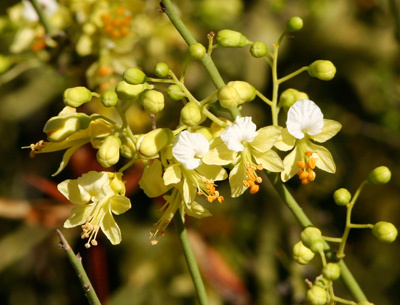 Description: The flowers are 1/2 inch (1.3 cm) wide and have 5 petals. The top petal is white, and the other 4 petals are yellow. 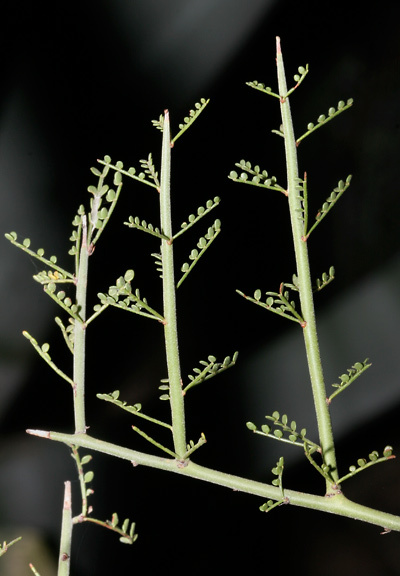 The leaves are bipinnately compound with 5 to 7 pairs of tiny, oval leaflets. The branches are spine-tipped. Some of the branches are shed during times of drought, and there are typically branch scars on the trunk and fallen branches under the trees. 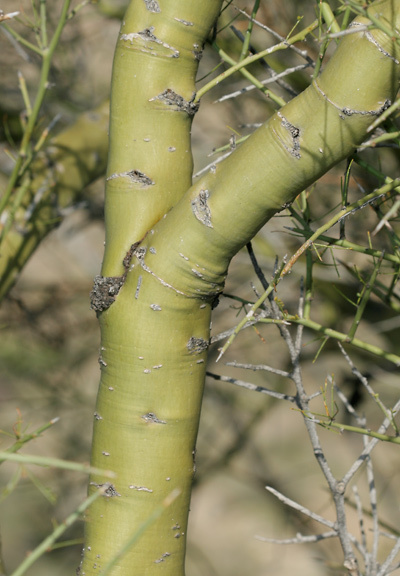 The photosynthesizing bark is smooth and yellowish green in color. 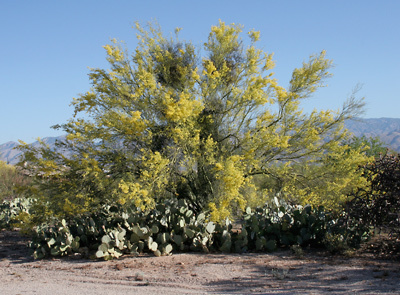 The similar Blue Paloverde (Parkinsonia florida) has solid yellow flowers, while Jerusalem Thorn (Parkinsonia aculeata) has flowers with an orange top petal and long, shoelace-like leaves. Allergenic – The pollen is an allergen. Edible – The large, green seeds are edible. They are delicious when eaten raw and look and taste very much like sweet, tender garden peas. 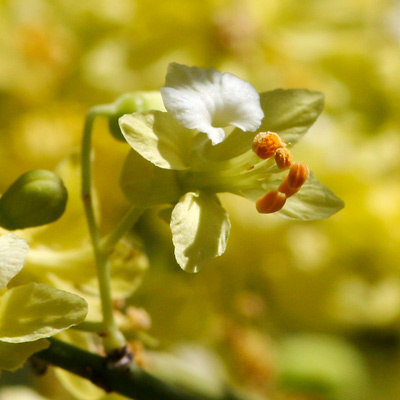 The sweet-tasting flowers are edible either raw or cooked.